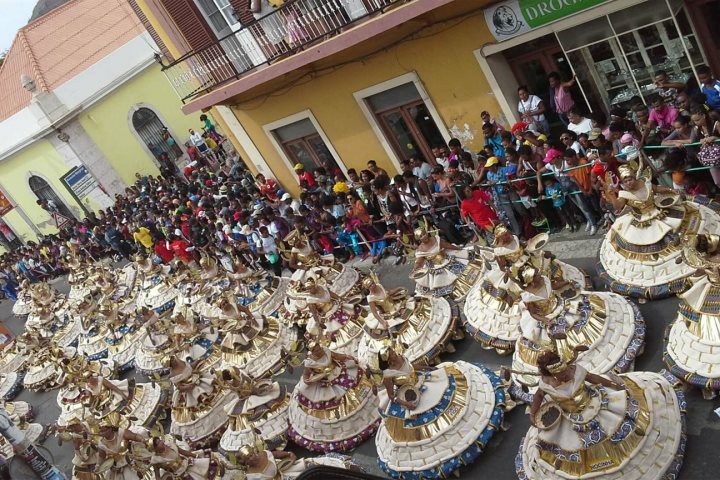 Having lived in Cape Verde for 10 years I had heard from the locals about the Carnival in São Vicente. This year my partner and I decided to go and see if it was as good as they claim. 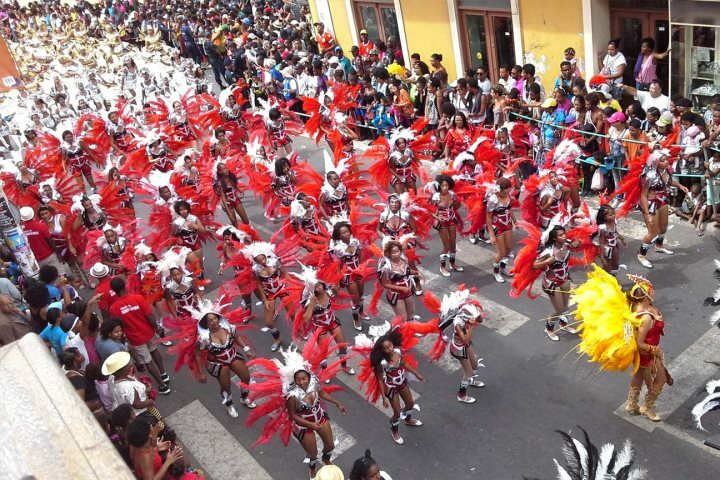 Once we booked, a lot of my friends asked to join us, so in the end 19 of us went for five days to São Vicente to experience the carnival and the rest of the island's offerings. On the Saturday, we arrived and checked into our hotel which was overlooking the street where the parades would pass by. 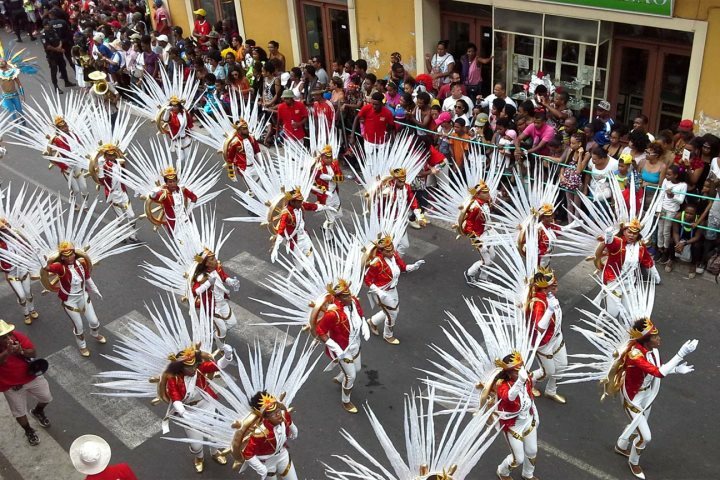 The atmosphere in town was great as there were already schools and societies parading down in their brightly coloured costumes. That evening ,we went to a local restaurant for some typical Cape Verdean food which was combined with live music playing. 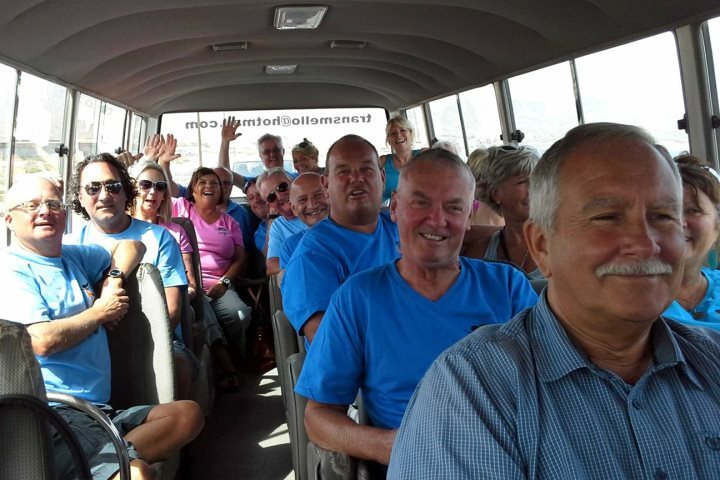 On the Sunday, we had booked to go on the island tour of São Vicente. We requested it to start earlier so we could get back in time for the afternoon parade. 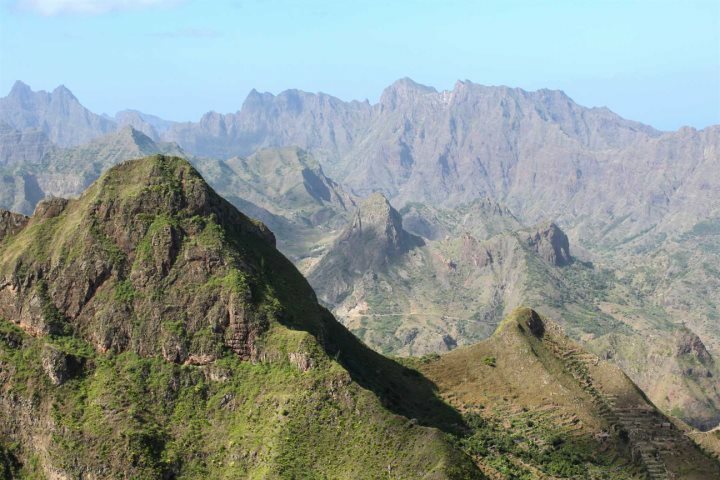 Most of my friends had never been to one of the other islands in Cape Verde, so this was a great opportunity for them to see the difference to the likes of Sal and Boa Vista. We travelled up the hill to see the view over Mindelo, a truly stunning location which is particularly impressive during sunset. 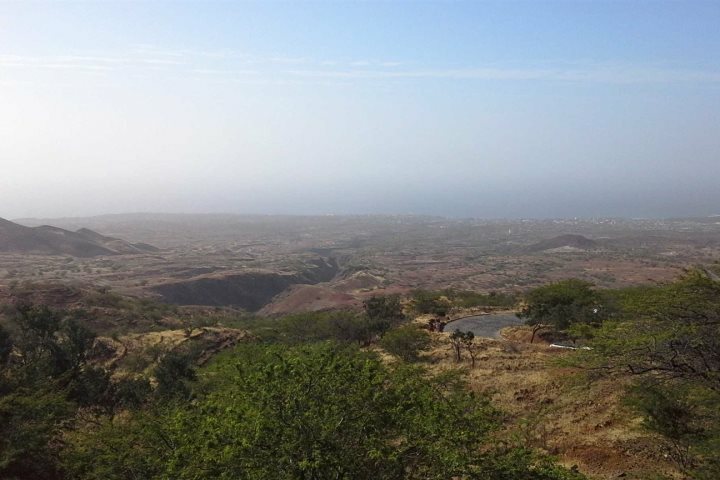 We even went to see the oldest golf course in Cape Verde, established in the 1800's, before travelling to Lazareto and then through the villages towards the bay of Calhau. Here the volcanic coastline and dark sand beaches are lined with small groups of houses; a beautiful and intriguing location. We then travelled from Calhau, through to Praia Grande to Bahia de Gatas (Bay of Sharks) where we had a lovely lunch of local fish and grilled chicken. After lunch we travelled along the coast, enjoying stunning views over the dunes and onto the rugged sea. 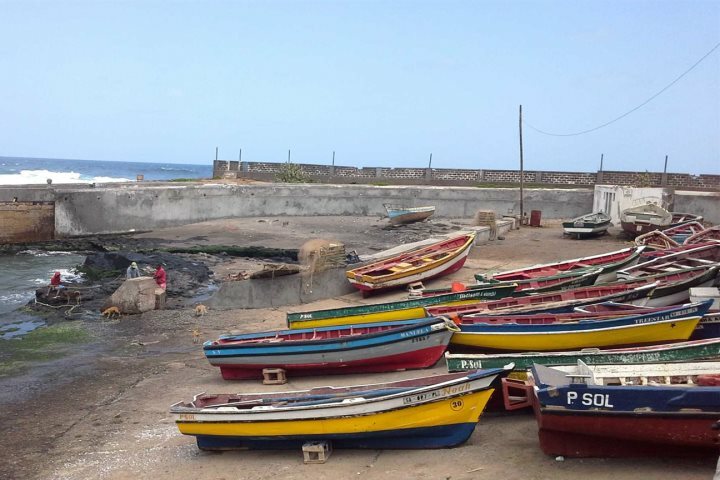 We followed the coastline to Salamansa, a small and colourful fishing village on the north-east of the island, showcasing an authentic and local vibe typical of São Vicente's coastline. On Monday, we travelled by ferry to Santo Antão which is a stark contrast to Sal, as it is defined by mountainous and green landscapes. The scenery is stunning, and travelling up the mountain, stopping at local villages and taking some scenic photos was a breathtaking experience. A minibus took us up to the crater of the Cova volcano, which sits at a height of 1,100m, affording incredible views. We then enjoyed travelling along the coast and seeing the panoramic views over Vale de Paúl, before continuing on to Paúl for Lunch. 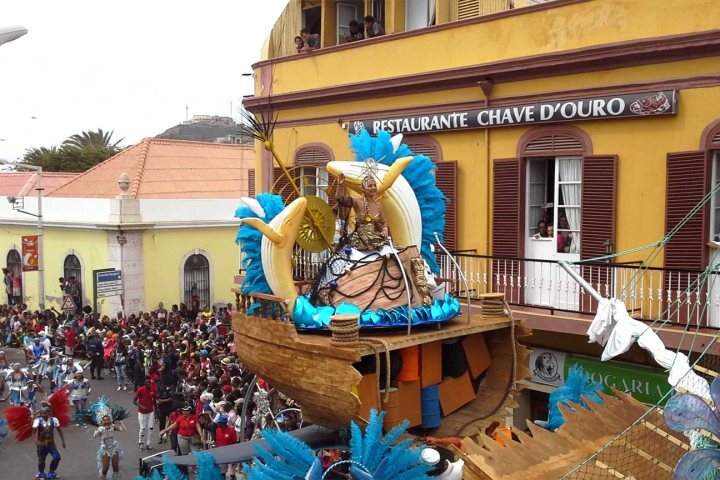 We visited Ribeira Grande, Ponta do Sol and Fontaínhas before catching the ferry back to São Vicente to watch the Carnival back in Mindelo. On Tuesday, after having lunch, we changed into fancy dress to join in with the festivities, watching the carnival from our balconies whilst drinking wine and eating nibbles. The event was simply amazing; it was definitely the best experience of my life so far. 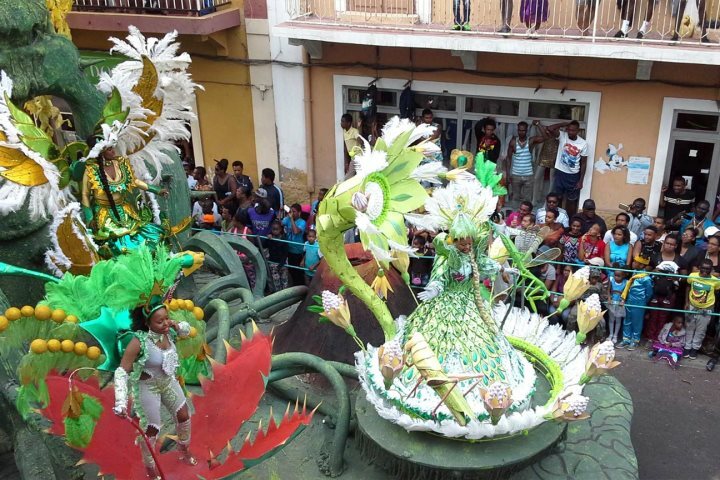 Everyone loved the carnival, the costumes, the atmosphere and generally everything about the whole occasion. It went far too quick and I would definitely go to see it all again. In the evening, we went out in our costumes for dinner and got plenty of attention! Great fun. On Wednesday morning they announced the carnival winners and we watched as the dancers went down the street below us in procession. Late afternoon we travelled back to Sal. 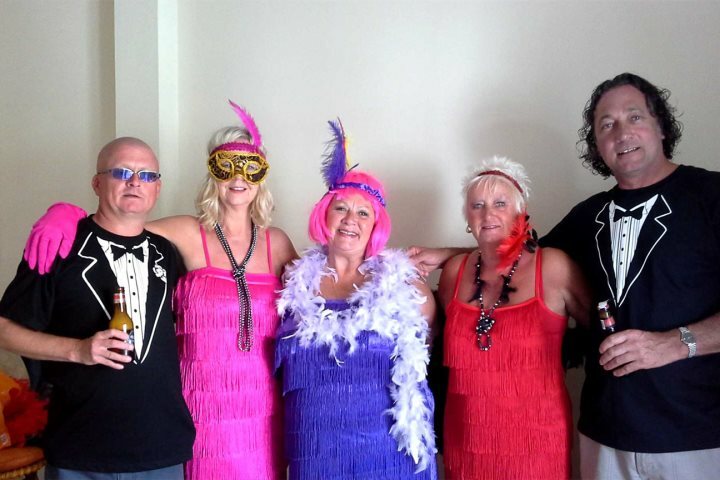 Tracey and her friends were experiencing our inviting Sao Vicente Carnival Package. Find out more about the package here.